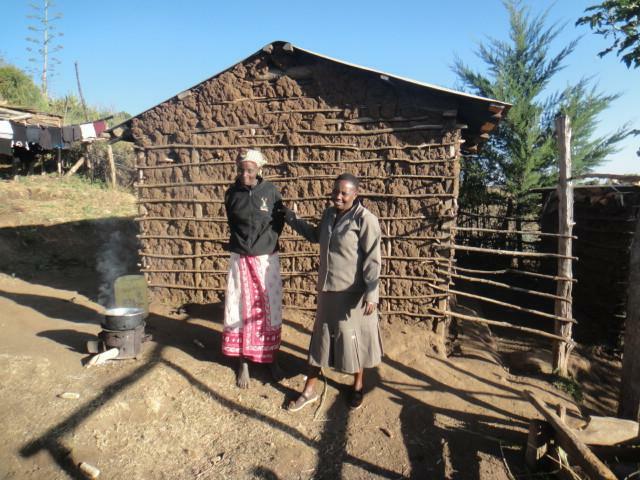 This story, by Kenya Client Relationship Managers Achintya Rai and Lauren Rosenbaum, was originally published in Zidisha’s book Venture: A Collection of True Microfinance Stories. Serah Wanjiku Mukuria works at the Mugaa Village Secondary School, a rare rural high school nestled in the highlands of Kenya’s Rift Valley, as a secretary (many people affectionately call her “Madam Secretary”) and also takes care of her farm and animals. I was a little startled when she said to me, “Zidisha will start giving milk from next month.” I later found out that Zidisha is the name of her cow. With her first Zidisha loan Serah started a photocopying business. The business didn’t do too well, so she sold her photocopying machine and bought Zidisha. With her second loan of $424 she has bought a little plot of land near the earthen road leading to the village. She intends to build on this plot and rent out the premises. I am always curious about the ages of people here, because they never look their age, but I avoided asking Serah about hers because she’s a lady. Then she told me that she has only four years left to retire and that she will shift to her new plot after retirement. I couldn’t resist asking her age and was surprised to find that she is 52. Serah is a little bundle of energy. We walked from her home to the school together (it’s a forty-minute uphill walk) and she literally floated. She is also one of the most pleasant people I have met here. She is always smiling (I think what helps is that she is not a teacher in the school and thus doesn’t need to scare the children) and comes across as very warm and generous (on the way back she kept asking if she were walking too fast for me). She insisted on carrying my laundry with her, using a strap across her forehead to lighten the load in the customary style of Kikuyu women. Serah’s village was particularly affected because of its close proximity to areas populated by members of the Kalenjin tribe, who were disillusioned what many believed to be a plot to keep the Kikuyus in power. Political leaders exacerbated the violence by supplying youths with weapons, transport, and angry slogans. Serah and her husband were forced to flee their farm and most of their belongings and animals were lost. Now an area that once had many houses and shops is sparsely populated. The village market is nearly nonexistent but for a few shops made of mud and sticks. The political crisis in Kenya preceded an economic downturn and severe drought that dramatically affected the region. This is the first year since the crisis that the farm has actually been able to grow maize. Serah’s husband, who had been employed as a truck driver from 1977 up until the outbreak of the violence, has been unable to find work for months. He plans to help Serah start her business in order to maintain a more reliable source of income. He also hopes to someday buy a mill to grind maize for a profit. Serah is an extremely hard-working lady. Even on the weekends she is constantly in motion, whether she is walking seven kilometers to the nearest market, working in her small farm, cooking, cleaning, or entertaining visitors. She never sits down to rest except for at mealtimes. She is always pushing herself to help everyone in her family and community in any way she can. Perhaps that’s why she has about a million friends. When we were on our way to the market she passed an old lady who was struggling to carry a twenty-pound bag of beans to the market to sell. Serah promptly took the bag from the lady and slung it over her own back to carry it. When we got home she had a visitor, Joshua, who suffered from a brain injury and now has difficulty walking, writing and talking. Serah gave Joshua a hug and some chai (Kenyan tea made with lots of fresh milk and sugar), explaining to me that she assists his mother, who is also disabled, to take care of him. Every Sunday she pays for a pikipiki, a motorcycle taxi, to help him get to their church located seven kilometers away. Over the weekend she was constantly visited by friends and neighbors. She was always happy to entertain them and offer them chai, no matter how busy she was at the moment. On Sunday, she had about ten relatives from Nairobi who came to enjoy nyama choma (roasted meat – her husband slaughtered a goat for the occasion). She insisted that they return home with bags and bags of maize, beans, and charcoal. 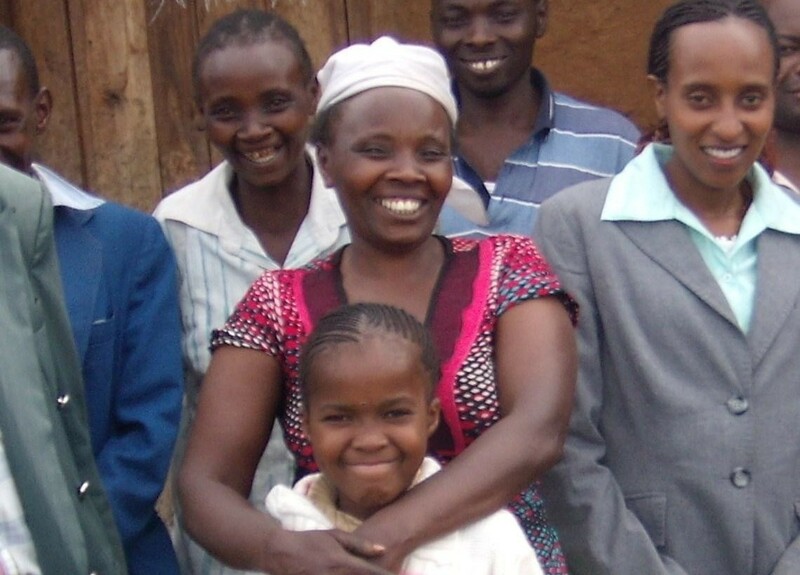 Two of Serah’s daughters stay with her with their children and Serah takes care of them and the children’s school fees. Serah has studied through secondary school, but her daughters have only finished primary school due to financial constraints. Serah understands the importance of education and wants her grandchildren to finish their education. You may view the latest news and photos of Serah’s business at her Zidisha Microfinance profile page. Posted on May 12, 2013 by Julia Kurnia. This entry was posted in Uncategorized and tagged kenya, microfinance, mother's day, p2p lending. Bookmark the permalink.